Dubai, UAE January 17th, 2012: Lenovo (HKSE: 992) (ADR: LNVGY) has sashayed onto the catwalk of fashion-minded consumers with the IdeaPad U300s Ultrabook™ laptop. 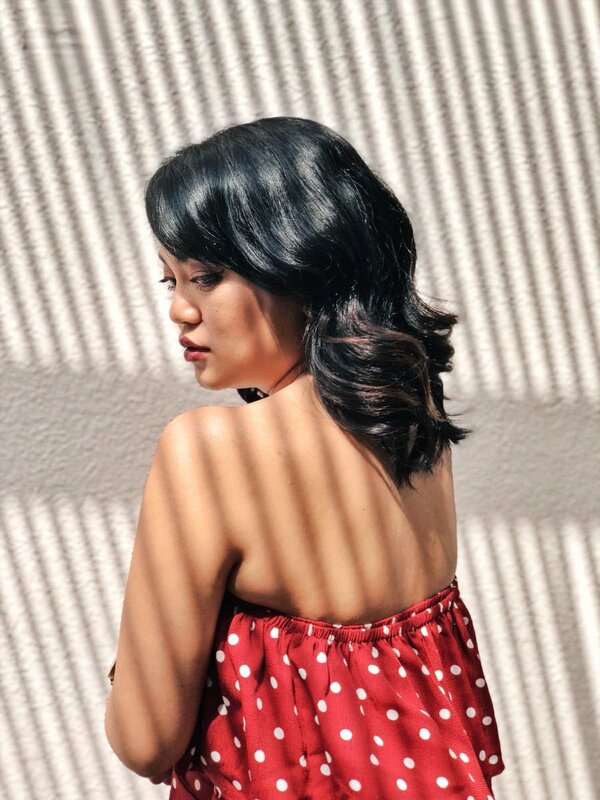 Bridging haute couture with superior technology, these laptops provide consumers with everything they need in a slender, mobile and chic package. Powered by up to a 2nd generation Intel® Core™ i7 processor with Intel Turbo Boost Technology 2.0, and boot up in as little as 10 seconds with Enhanced Experience 2.0 RapidDrive SSD technology1, the U300s is the ultimate upgrade for those who possess a sophisticated sense of style, appreciate minimalist design and quality craftsmanship. 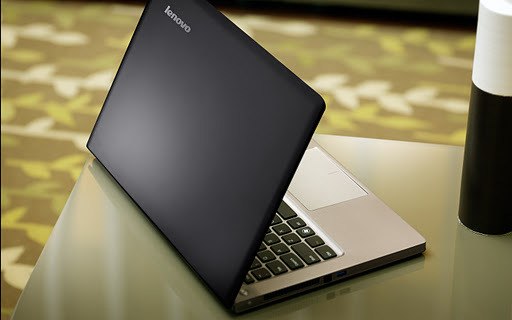 The spectacularly slim U300s Ultrabook is a unique statement for consumers that equally value style and performance. Exuding style and quality with its minimalist book-shaped design, the U300s packs a 13.3″ ultra-slim 16:9 widescreen HD display, 4GB DDR3 memory and up to 256GB of SSD storage, perfect for slipping into your messenger bag or designer handbag without adding unnecessary bulk. At just 14.9mm thick2 – which is thinner than your average fashion magazine – the U300s is built from a single-piece aluminum shell to create a sleek and lightweight product weighing as little as 1.32kg (lighter than a 1.5litre bottle of water). Available in Graphite Gray or limited-edition Clementine Orange – the trendy colors have been applied through an electrolytic process, and sandblasted to create a perfect, scratch-resistant coating. 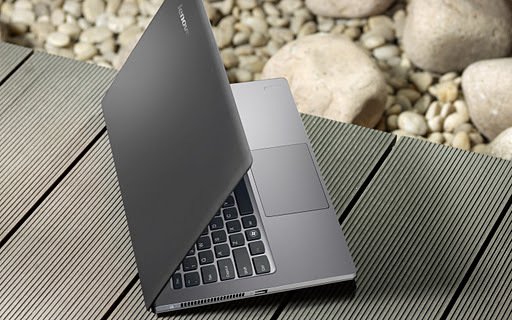 Other smart technologies include the one-of-a-kind Breathable Keyboard, an Intel® Advanced Cooling Technology that allows air to flow in through the keyboard and out of the sides and rear hinge. This design removes the need for vents on the underside of the notebook – making it ideal for long periods of use on your lap or even on a pillow! Despite its ultra-slim design, with the Lenovo Long Life Battery, the U300s provides up to eight hours of productive use or an incredible 30 days on standby. And with Lenovo RapidCharge its battery can be charged to 50% capacity in just 30 minutes. Also included is Bluetooth®, high-speed 802.11n Wi-Fi, USB 2.0 and USB 3.0 connectors, as well as an integrated 1.3M (720p HD) webcam. The IdeaPad U300s features HD graphics support, a HDMI output and integrated stereo speakers with SRS® Premium Surround Sound™ for an immersive sound experience when watching “The Devil Wears Prada” on DVD, streaming the latest Victoria’s Secret runway show online or listening to the likes of Beyonce! Furthermore, computer content can be brought to life-sized magnitude wirelessly on a big screen using Intel®’s Wireless Display (WiDi) Technology3. 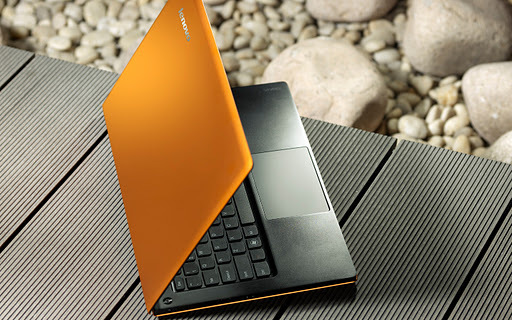 The Lenovo IdeaPad U300s is available at all major retail outlets within the region, and are available in cool Graphite Gray or the limited-edition Clementine Orange. Pricing for the IdeaPad U300s starts from AED 4,499.